There has already been a lot of talk about Dante Exum in recent weeks but you, and the player, should be prepared for a lot more talk and discussion about him in the weeks, months and hopefully even years to come. The 19 year old was the 5th pick in the 2014 NBA Draft, being snapped up by the Utah Jazz. This was quite an accolade and it has meant that there has been a lot of focus placed on the young point guard. The player was involved in the NBA Summer League in Las Vegas, and it would be fair to say that initial reviews were mixed. At times the player struggled when facing up against players who were notably bigger than him but Dante has already commented on the step up he has taken. Given that he hadn’t played much basketball of late, he was certainly a bit rusty but as far as an introduction to the level he will need to be at, it was a good way to get himself in gear. Dante believes that the Summer League was a good stepping stone but he also believes that the FIBA World Cup, tipping off in Spain at the end of August will be an even more productive way for him to develop his skills and become the player that so many people are tipping him to be. 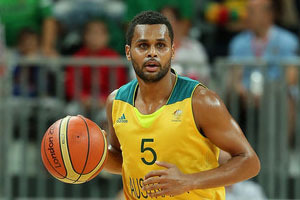 Exum will be heading to Spain with the Australian team in place of Patty Mills from the San Antonio Spurs, who has recently received surgery for a torn rotator cuff. This means that Exum will be competing for a slot with Matthew Dellavedova, from the Cleveland Cavaliers, in the big tournament of the summer. In this regard, the progression from Summer League to FIBA World Cup to NBA season is a great progression for Dante and if he can hone his skills and confidence along the way, he will be more than doing okay for himself. It is always a shame when a player has to miss out on a big event with an injury but in the world of sport, an injury or unfortunate element for one player means that there is an opportunity for another player. This is where the best players seize their opportunity and there will be a great deal of focus falling on Dante to see if he has the mental tenacity to step up and make himself counted at the FIBA World Cup. Given the way that Mills performed during the championship winning game against the Heat last season, there is a lot to live up to but for a rising star, there is no better way to mark your entrance on the game than by delivering a big performance on the big stage. 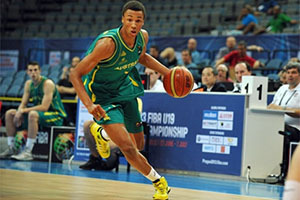 The host nation and Team USA are the teams that most expect to battle it out for supremacy at the FIBA World Cup but if you believe that Dante Exum can build his name and push the Australian team on to glory in Spain, there is an opportunity to put some money on it. The NBA season remains the biggest stage in basketball but if you are looking for a major platform to develop your skills and show off your prowess, there are few better places than the FIBA World Cup.